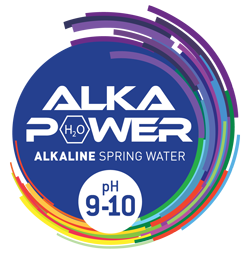 Alka Power is Australia’s finest alkaline water. Developed by biochemist Randy Park over a 25- year career in public and industrial water treatment, Alka Power is an ionic active mineral water infused with calcium and other alkaline minerals from sustainably farmed coral, mother of pearl and seashells. Pure, clean and refreshing, Alka Power is free of harmful sediments often found in tap water and has a high, stable pH of 9-10 that helps counteract the deleterious effects of acids consumed in food and other drinks. Benefits may include reduced mineral loss, improved blood circulation, increased energy levels, softer skin, stronger nails, and superior hydration.